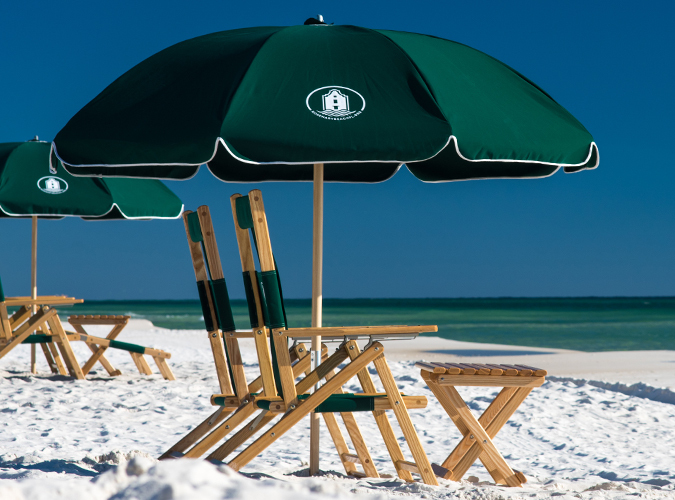 Rent Rosemary Beach lounge sets for your vacation. A great lounge set to use on your vacation with your family. The lounge set features 2 chairs with an umbrella to keep you cool and comfortable.